Full exercise plan configured to your goal. Learn which exercises will unlock your goals, be they building muscle, toning or burning fat . Full diet and nutrition plan to support your physical goals. 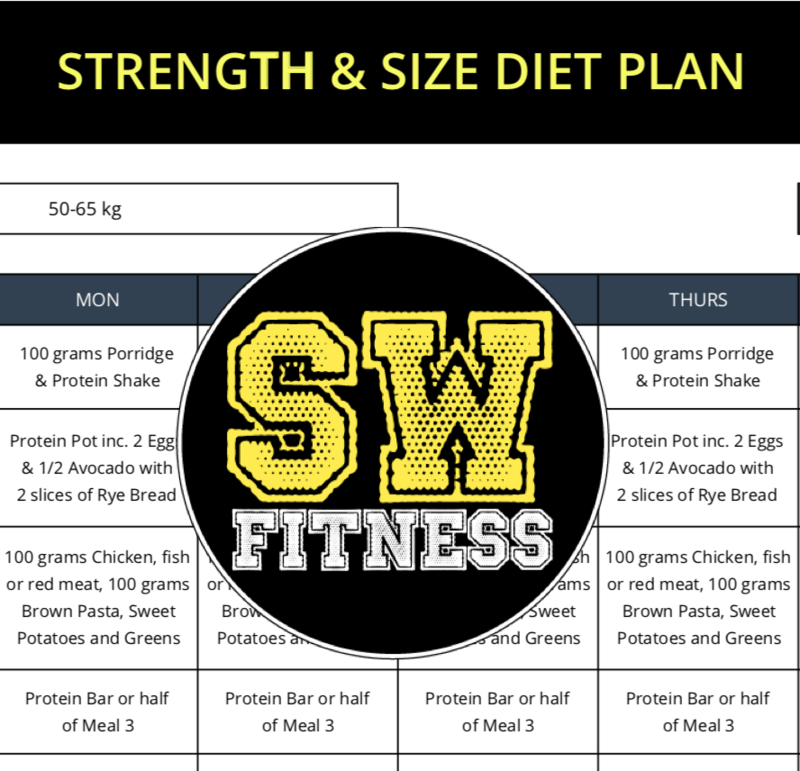 Develop your knowledge and understanding of macros and calorie planning. 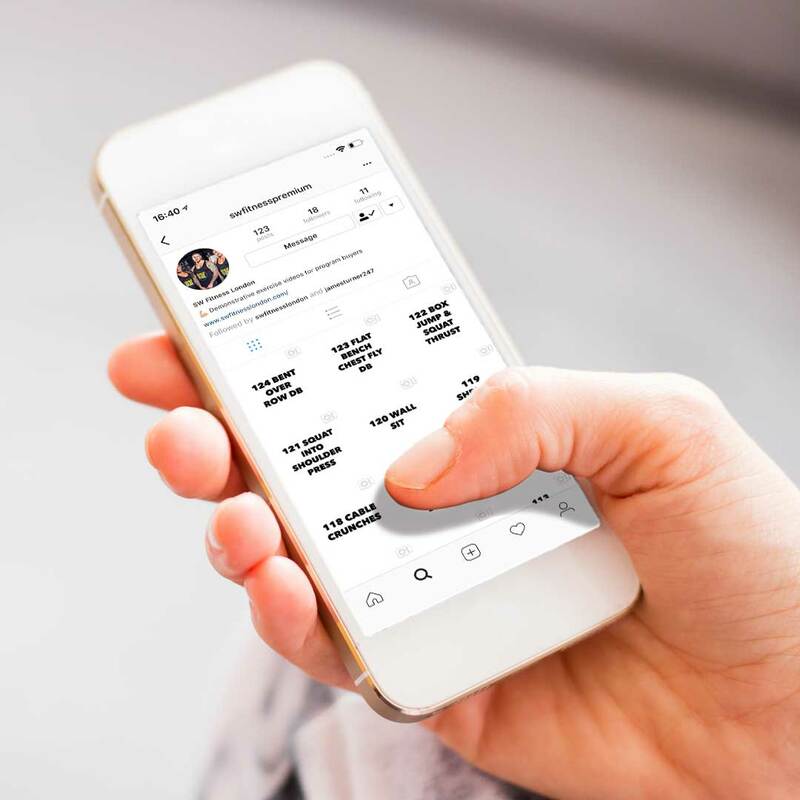 A Premium Instagram Channel for full exercise demonstrations. 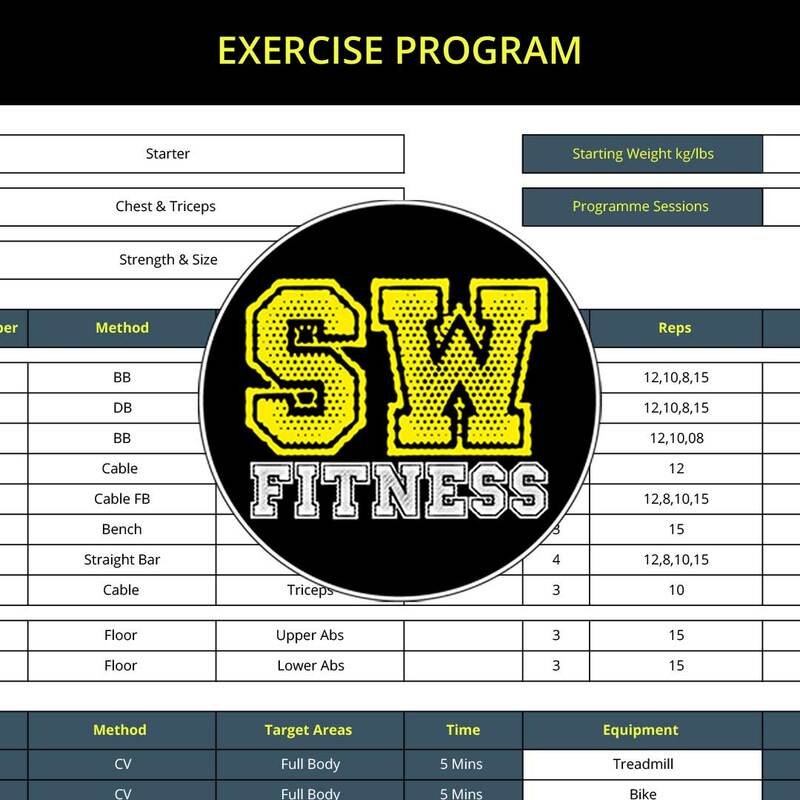 Carry exercise demos in your pocket so you don’t get stuck SW Fitness is always helping you. Designed to maximise weight loss and increase stamina while you do it, the intensity helps you develop both aerobic and anaerobic systems. Specifically designed for those focussing on growing and adding size, the training combines lower reps, so you push to your max, with longer rest periods before repeating to challenge your muscles. Configured to develop a tight well-proportioned muscular physique, when combining this exercise style with the recommended diet you will start stripping fat but also keep the strength and look to your physique. Fat Loss & Tone is for beginners who want to control their weight and start to condition their physique. The training style will be intense, getting your heart pumping to burn stored fat, and improving your aerobic fitness.